to take your garden wedding decor to the next level. 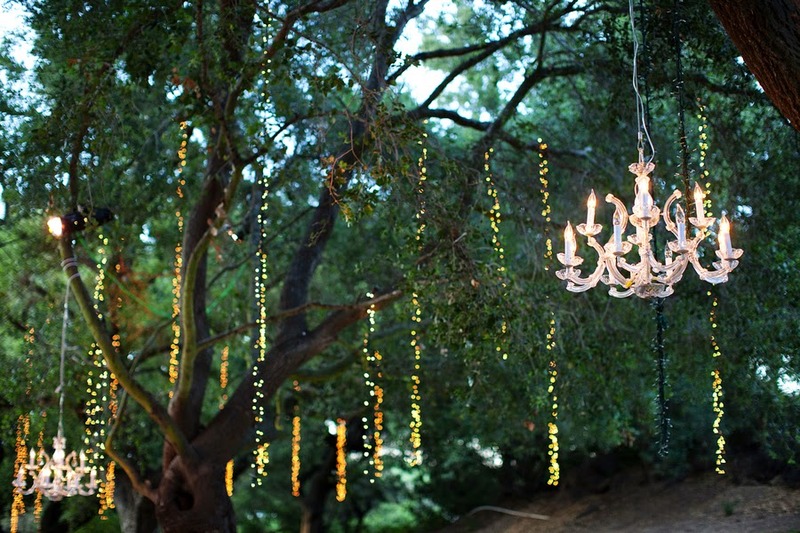 Time is an important factor in planning your garden wedding decorations. By considering the time, you will be able to determine what kind of decorations that will complement to the surroundings and to the overall event. Let's say for example, if the reception will last until nighttime, you can create a dreamlike atmosphere in a garden setting by decorating a string of white lights to highlight trees and bushes. 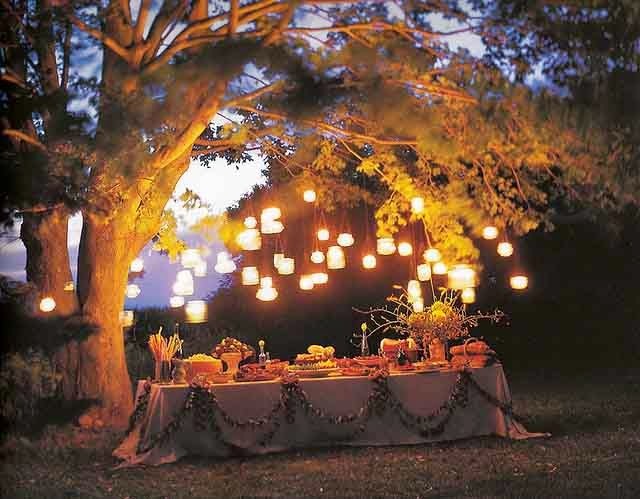 In fact, you can add more drama to it with the use of Japanese lanterns. Another thing is the time of the year that your wedding is going to take place. Are you having a summer, fall, winter or a spring wedding? If you are getting married during the fall, for example, you can choose a color scheme which falls into a shade between red, orange, brown or dark yellow. 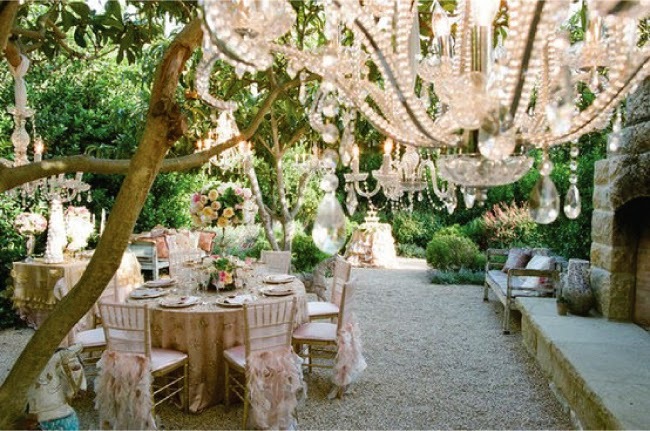 Summer season is a beautiful time to go all out with the garden wedding decorations. It is when you can use lovely pastel colors as an accent. 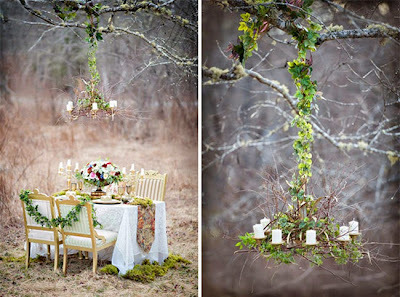 The next step in planning the garden wedding decoration is to think of the the more elaborate accents that you need. A wedding altar is one. 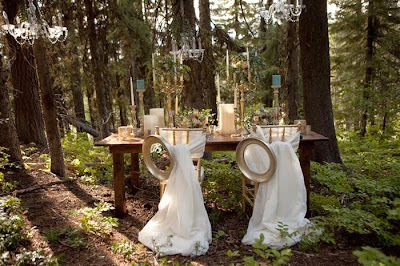 Gardens doesn't always have define spaces for wedding ceremonies, so you may have to create your own. An arch will serve for this purpose. It will define the altar under which you will say your "I dos". You can dress up an arch with garlands, balloon arrangement, or a string of lights. Add as much flowers as possible (silk or fresh) for more color. This would actually be the focal point as compared to the other garden wedding decoration pieces. Therefore, it is important to put more concentration on this part than any other. Furthermore, there should be an arrangement of chairs in front of the wedding arch that needs to be decorated as well. 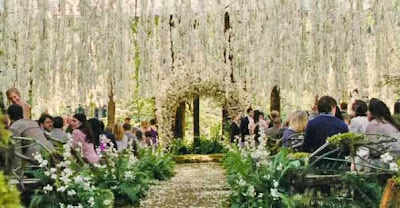 The aisles can be covered with petals. Centerpieces made up of flowers, ribbons and candles are best decors for the guests' tables, the buffet table, the cake table and the gift table. Now, the good thing about holding this type of a wedding is that you can save on the costs of booking for another venue for the reception. Also, it would be convenient for the guests not to travel from one location to another if the ceremony and reception are held at separate locations. 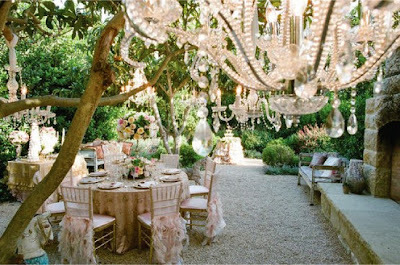 Overall, the key to creating a fairy-tale like ambiance for your garden wedding is to accentuate the beauty of nature that is already there. With the right garden wedding decorations in hand, your wedding ceremony and reception will be an event worth remembering.